Over the next few months there are some interesting truck shows coming up around the country, and for your convenience we have created a list of them here. Some like the Perth and Brisbane Truck Shows are large "all the bells and whistles" affairs organised by their respective state industry groups, showcasing many major exhibitors. Then there are shows for the vintage and historical enthusiast, Show & Shine shows and also some rural shows that include agricultural trucks and tractors. In short, there is a show to cover most interests, although it will probably be a matter of organising to be in the right place at the right time for many. Most shows have a website or contact details where you can find out more information, view a flyer or see a full website. 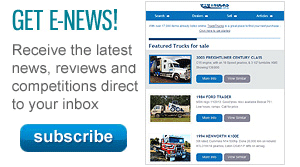 Click here to visit the the Australian truck show calendar for 2014. 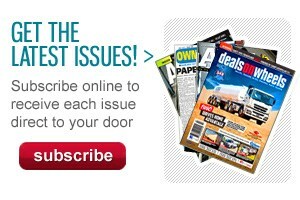 Contact: Kyabram Vintage Engine and Machinery Restoration Group Inc. Details: A gathering of trucks, tractors and farm machinery 25 years and older. A loading ramp is available on site. Details: Saturday evening (pre-paid via entry) dinner and slide night in Yass, old photo contributions encouraged. A parade through the main street of Yass and trophy presentation. A list of accommodation available on the website. Details: Entry $5 adults, open 8am both days, tractor pull, vintage and veteran trucks and utes, fire engines and military vehicles, tractors and stationary engines. Heritage trucks, buses and earthmoving machinery. Country market on Sunday. Details: The Brisbane Truck Show, established by the Commercial Vehicle Industry Association of Queensland (CVIAQ) for the industry in 1968 has grown expeditiously over the past 40 years and is recognised as the premier event in Australia. Among many key advantages cited by major exhibitors included superior design and traffic flow of the venue which provided buyers the opportunity to revisit stands on multiple occasions to make direct product comparisons and to seal deals. Details: This event is open to all Veteran, Vintage and Classic Trucks, Buses, Utes, Vans, Military & Fire vehicles or any other historic vehicle permitted by the organises that are 30 years or over. This show is held to promote the collecting, conserving and the restoration of Heavy Transport Vehicles (pre-entry required). A fantastic family fun day will open up a world of fascinating nostalgia Join us and open up a world of fascinating nostalgia and activities for all ages. Come and see trucks from the solid rubber boneshakers of 1914 through to the kings of the highway of the 60's and 70's. Place: Perth Convention & Exhibition Centre. 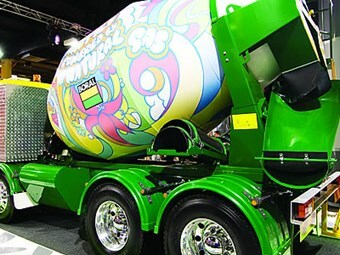 Details: The 2013 Perth Truck and Trailer Show is shaping up to be a major event for the Western Australian truck industry. The bi-ennial Perth Truck and Trailer show will again take up all six pavilions of the Perth Convention and Exhibition Centre when it is staged in July. The Perth Truck and Trailer Show is an important event for the Commercial Vehicle Industry Association (CVIA), a division of the Motor Trades Association of WA. The CVIA recognises the value of a large scale Show such as this, which showcases the most up-to-date vehicles, equipment, parts and accessories, and information relating to the trucking industry. Plus as the major event for the industry, the Show offers networking opportunities through two scheduled functions - a cocktail party and gala dinner; plus the bar will operate across the weekend to provide a central place to meet clients and business associates.